Following the marathon talks of the 29th of June in Brussels, the EU leaders finally reached a compromise package of migration reforms. Migration is nowadays a really divisive issue, maybe the most delicate one for the EU future. The summit discussions were held up by a refusal of Italy’s new Prime Minister Giuseppe Conte to sign off on any of the Council “conclusions”, which require unanimity, until he was satisfied on the migration issue. Basically, the new Italian government wants a wider burden sharing of migrant in Europe, through a Dublin agreement’s reform aimed at avoiding responsibilities just for the front line States such as Italy and Spain. Following the application of this approach then it comes the issue of how many migrant Europe can receive: from this point of view it seems to grow the sentiment that the EU needs to reform its migration policy in order to ensure it grants asylum just to those fleeing persecution and war, but not to economic migrants. There is a reason behind this decision: it is one thing to define and maybe give refuge to people running away from war, persecution and genocide; and quite another thing to consider giving refuge to people fleeing not from war but from hunger and poverty. Humanly speaking, the EU Member States should help in some way all the human being, both those fleeing from wars and economic migrants, also because they are not always clearly discernible. But politically speaking, due both to growing populist sentiment in the public opinion and to job crisis in many European countries, there is a need to receive just the most “urgent” cases, through asylum procedure. The EU leaders in Brussels agreed to increase funding for Turkey and freed up 500 million euros in funding for North Africa. But also according to the President of the EU Parliament Antonio Tajani, the EU should invest at least €6 billion to close the Mediterranean route and increase cooperation with transit countries such as Mauritania, Mali, Chad, Tunisia, Morocco and Algeria, as well as Libya. As part of measures to stem the flow of migrants into Italy, the Interior Minister Matteo Salvini has called for the creation of “reception and identification centers” to be located in Libya, Mali, Chad, Niger and Sudan. This approach is aimed at avoiding the departure of migrants from North Africa but it should inevitably be completed with the constructive part: the creation of development and work in Africa. Global recession and economic decline are being dramatically reflected in the increased number of African economically displaced people and labor migrants. For some time to come, the African States will face tremendous problems of how to deal with large and relatively unskilled populations seeking employment in nations maybe too precariously dependent on the international capitalist economy. It is a long process, but is worth to be covered. Up to now, the work is just started and according to some commentator these deals, diverting EU aid from development priorities, are putting lives at risk and disregarding the EU’s own standards and values. The 500 millions euro promised for the EU Africa Trust Fund are no additional resources but taken out from the development budget which should be dedicated to development priorities. 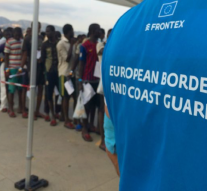 In the context of the next Multiannual Financial Framework, the European Council underlines the need for flexible instruments, allowing for fast disbursement, to combat illegal migration. The internal security, integrated border management, asylum and migration funds should therefore include dedicated, significant components for external migration management. Thus, the EU should insist more on developing a complete strategy to boost investment and economies in Africa. Tackling the migration problem at its core requires a partnership with Africa, aiming at a substantial socio–economic transformation of the African continent. “It is far too early to talk about a success,” the European Council president Donald Tusk noted on the 29th of June, pointing out that the agreement was “in fact the easiest part of the task, compared to what awaits us on the ground, when we start implementing it”. Also the incoming Austrian Presidency of the EU Council needs to confirm migration as a top priority. In this regard, an informal summit between heads of State on “security and the fight against illegal immigration” will be organised in Salzburg on the 20th September. This will be just one of many summit devoted to this epochal problem for Europe. How to deal with migrant flows is just a part of a wider strategies that should be the natural top priorities for the EU: bringing economic development and stabilising its neighbourhood. Employment Related Issues: a Key Aspect Toward Next European Elections?